It’s hard to believe that it’s already February, but it is. You know what February brings, don’t you? That’s right, Valentine’s Day. The day of love, chocolate, sweet treats, and heart-shaped everything. My first memories of Valentine’s Day are from elementary school. The teacher would ask us to bring in a shoe box from home, and we’d spend the day decorating it with red and pink construction paper hearts. Then, using the dullest scissors imaginable, we’d cut a slot in the top of the box. On Valentine’s Day, we set the boxes on top of our desks to collect Valentine cards from our classmates. At the end of the day, we were given a pink frosted cookie with a cup of a red-flavored drink to enjoy while we opened the valentines in our boxes. I loved going to the store to select my cards, writing them out to each of my friends, and sealing them with stickers. It was so much fun being creative. I’m considerably older these days, but I still enjoy the process of making something special for my loved ones. 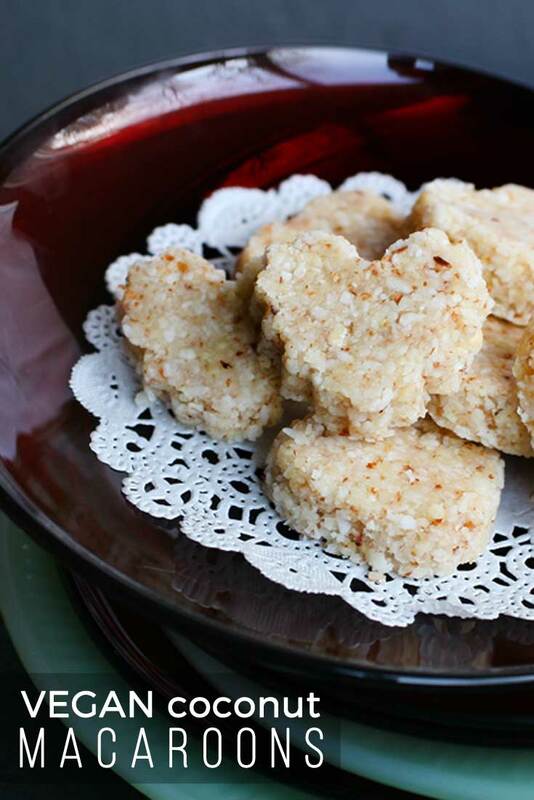 This year I decided to make coconut macaroon hearts. I used to make macaroons all the time in my early vegan days; I’m not sure why I stopped. They’re super easy to make, full of healthy fats from the coconut and almonds, and they taste divine. Plus, I have to be honest- they make adorable little hearts. I’m going to package these up in pretty little red baking cups and offer them to my Valentine. Here’s the recipe so you can do the same. 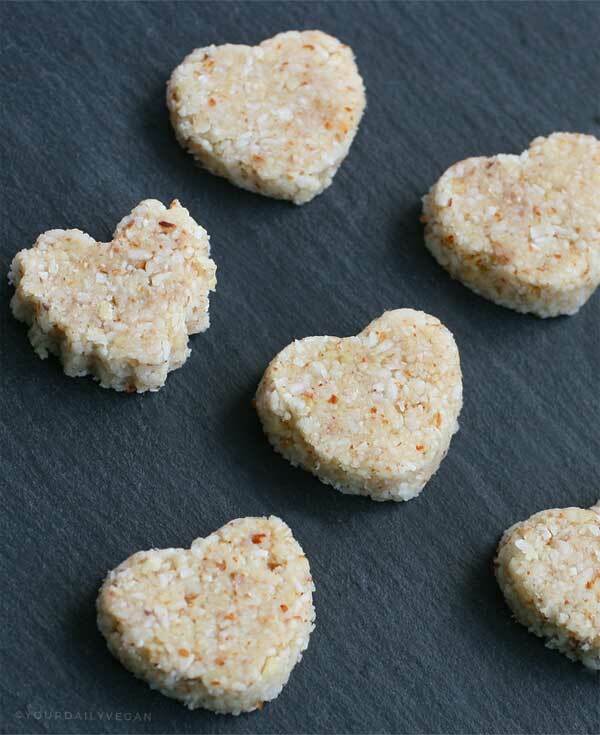 A quick, healthy treat perfect for Valentine’s Day or just for snacking. Place the coconut mixture between two sheets of wax paper (or parchment paper). Using your hands, press down to begin flattening the mixture. Once the mixture is about 1/4 inch thick, continue to flatten it by rolling the top with a rolling pin, similar to rolling out cookie dough. 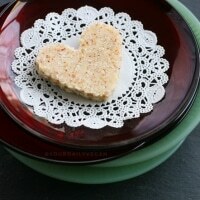 Using a cookie cutter, cut out heart shapes and place on a baking sheet lined with wax paper. Once all of the hearts are cut out, place the baking sheet in the fridge for 15 minutes or so to set. Remove from fridge about 5 minutes prior to serving. Store macaroons in the fridge in an air-tight container. 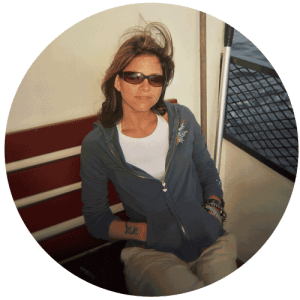 The recommended products contain affiliate links; I will be compensated if you make a purchase after clicking on my links. Thank you for the support. Is it possible to bake these after forming shapes? I’d like to have a way for the alcohol in the vanilla to burn off. If so, what temp and time would you recommend? I don’t think this recipe would work as a cooked version. The heat would cause the coconut oil to melt which would cause the macaroons to “melt.” I do have an alternative idea! Instead of vanilla extract, simply swap it out for one dried vanilla bean. If you do decide to experiment and cook these, come back and let me know how it goes!